Reconnect With Food: Eat Your Way to Triathlon Success is a great new book by nutritionist and elite-amateur triathlete Teresa Rider. The 76-page paperback offers Rider's educated and no-nonsense approach to nutrition, with plenty of recipes for breakfast, lunch and dinner that are not only easy to prepare but also relatively simple to shop for. The recipes are aimed at the time-crunched triathlete, so there's no spending hours in the kitchen. Rider is a believer in wholesome and organic foods, and that eating well is crucial to our health and wellbeing. While geared toward the endurance athlete, this book will benefit anyone interested in broadening their dietary repertoire with new and delicious suggestions. Rider prepares these meals for the athletes attending IMJ Coaching camps in Boulder, Colorado. Tim and I were part of one in May, and I can assure you that every athlete there would come back for the food and drinks alone. Incidentally the training - guided by Rider, husband and IMJ head coach Scott Jones, as well as IMJ coach Ben Lane - was superb too. About the book: Passion is a powerful emotion. We all have passions. One of mine happens to be food; where it comes from, how it is grown, the science behind the creation of thousands of different foods, and the health and lifestyle benefits from eating natural wholesome food. This book's aim is to help you develop a better relationship with food and your own diet. Reconnect With Food makes you think about what you eat and how you eat. A nutrient-dense, natural diet will improve your athletic performance and recovery, and quality of life. About the author: Teresa Rider is an age group world champion at the Ironman and Olympic distances. She holds an Advanced Certificate of Nutritional Sciences and is studying for a Bachelor of Science in Holistic Nutrition. 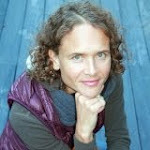 With husband Scott Jones, Teresa owns Boulder-based IMJ Coaching.